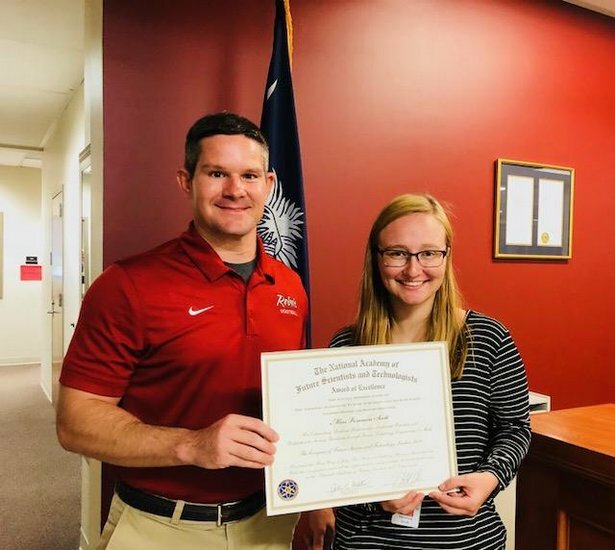 The National Academy of Future Scientists and Technologies presented Miss Veronica Scott with an Award of Excellence for outstanding academic performance, leadership potential, and dedication to serving humanity through science, technology, engineering, or math. This past June, Veronica represented Mid-Carolina High School and the state of South Carolina at the Congress of Future Science and Technology Leaders in Boston, Massachusetts. Veronica was joined by many fellow high school students who share her passion, ability and potential. This is an incredible honor and we are proud of her accomplishments.